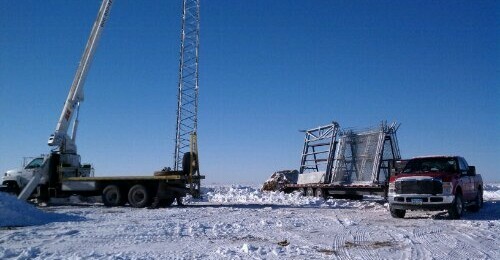 As of Jan.4th, 2011 RTN has completed the erection portion of the construction process at the Erskine and Oklee, MN tower sites. Electrical and component work will follow. RTN has begun preparations for the expansion of coverage area in the northeastern Red River Valley. Two towers will be constructed in the Erskine, MN and Oklee, MN areas. Also, planning for a Buxton,ND tower has started. The addition of these 3 new sites will bring Rural Tower Network’s RTK signal coverage to 67 locations. 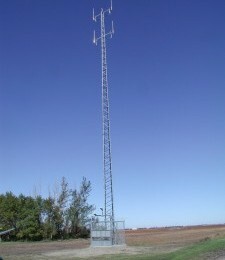 Recently Rural Tower Network purchased a portable tower. This 105 ft tower can be deployed at locations in hours. This allows us to run tests at future sites as well as serve as an emergency backup.